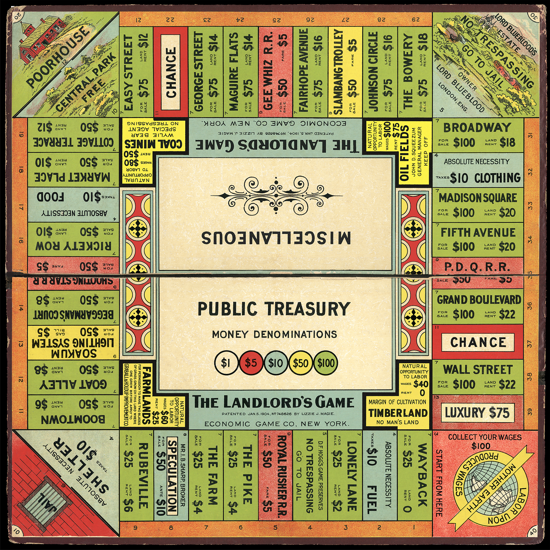 Features: The Landlord's Game is a realty and taxation game, which is considered to be the direct inspiration for the board game Monopoly. 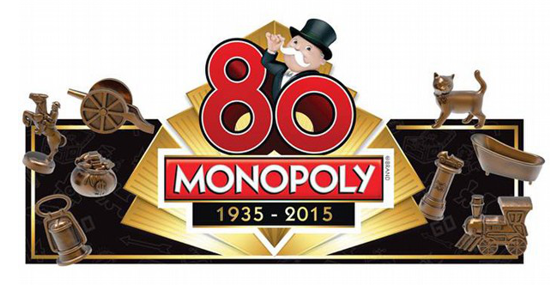 The set had rules for two different games, anti-monopolist and a monopolist. 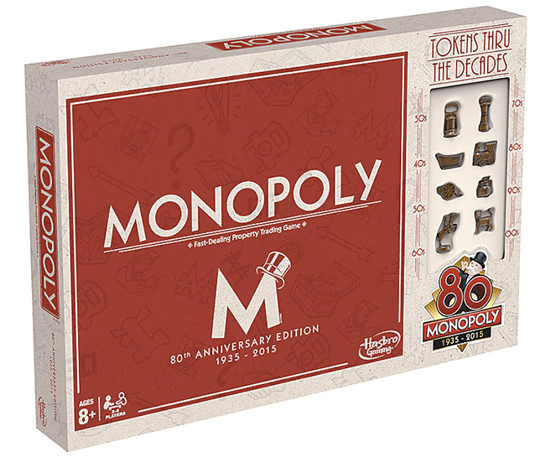 The anti-monopolist rules reward all during wealth creation while the monopolist rules had the goal of forming monopolies and forcing opponents out of the game. 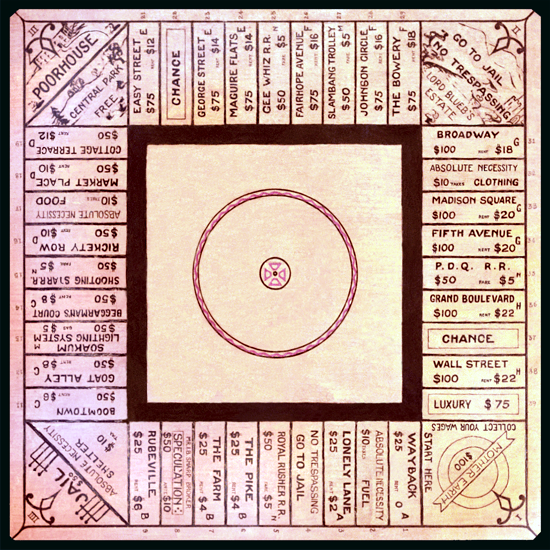 A win in the anti-monopolist, or Single Tax version and later called by Magie as "Prosperity Game", was when the player having the lowest monetary amount has double his original stake. 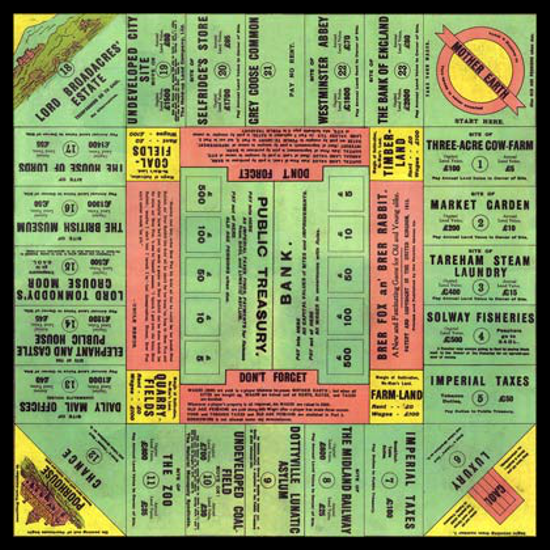 The board featured a track around the outside edge of the board split into blocks representing properties and had their purchase price, and their rental value listed in the block. 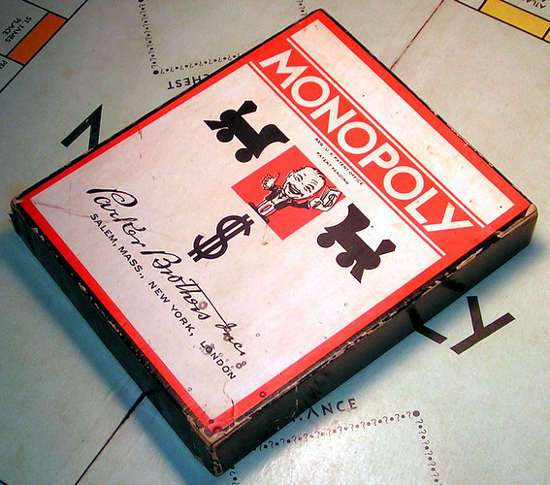 New York City’s Broadway, Fifth Avenue, and Wall Street were the top properties in price and rent. 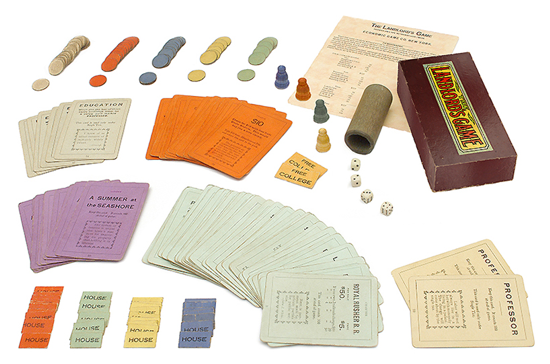 The published game included Chance cards with quotes attributed to Thomas Jefferson, John Ruskin and Andrew Carnegie. 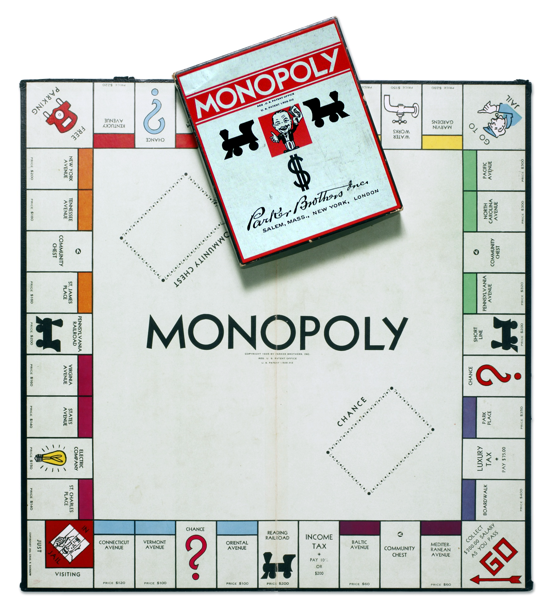 From the 1904 patented version to the published 1906 version, the property names were changed and the rule for increased rent for multiple railroad owned. 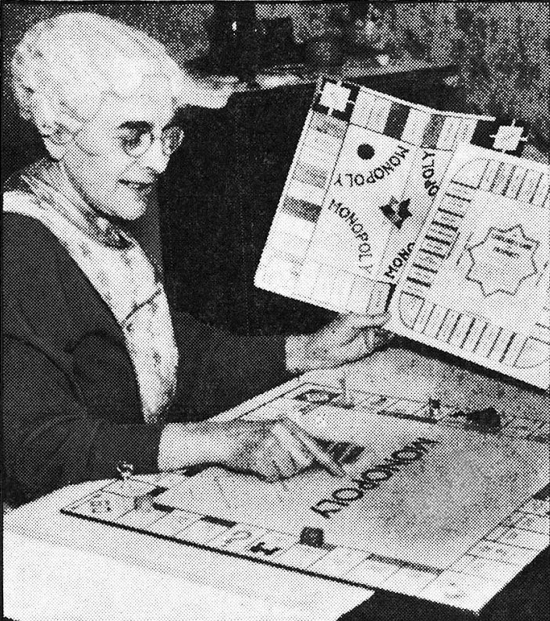 Interesting facts: In 1902 to 1903, Elizabeth Magie designed The Landlord's Game and play tested it in Arden, Delaware. 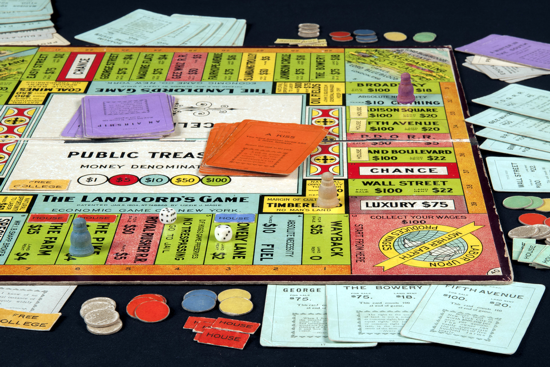 The game was created to be a "practical demonstration of the present system of land grabbing with all its usual outcomes and consequences". 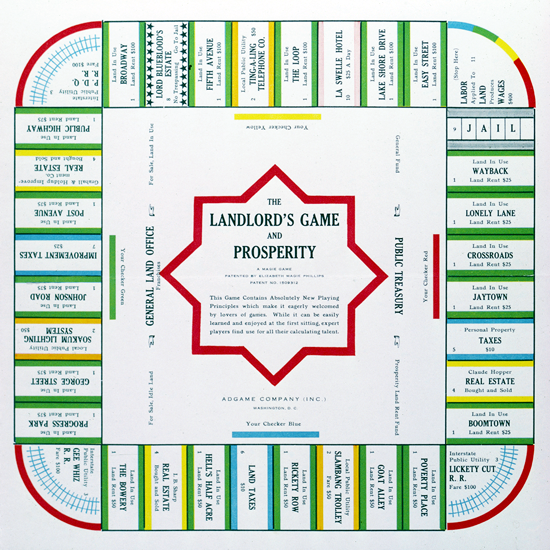 She based the game on the economic principles of Georgism, a system proposed by Henry George, with the object of demonstrating how rents enrich property owners and impoverish tenants. 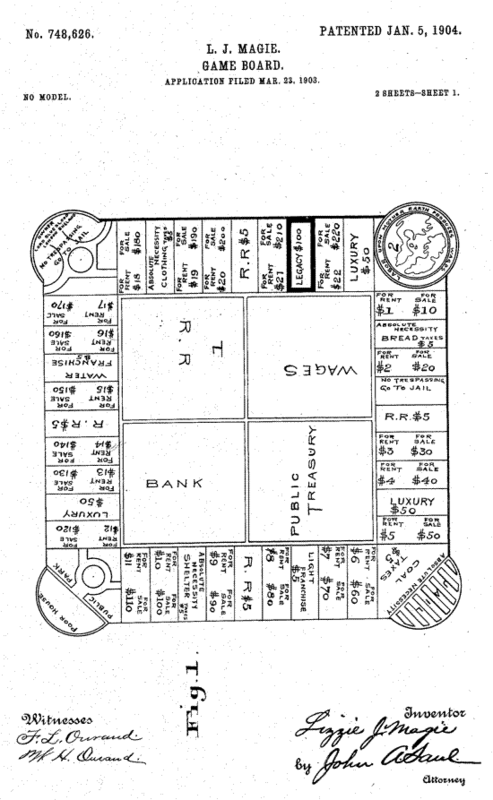 In 1904, a patent on the game was granted; in 1906 Magie and other fellow Georgists formed a company, Economic Game Company, in New York to publish the game. 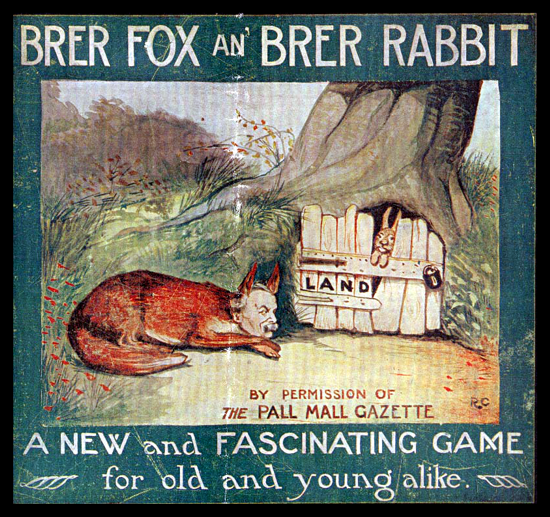 In the United Kingdom it was first published in 1913 by the Newbie Game Company, formed by a Liberal Committee from the village of Newbie in Dumfries, under the title Brer Fox an' Brer Rabbit. 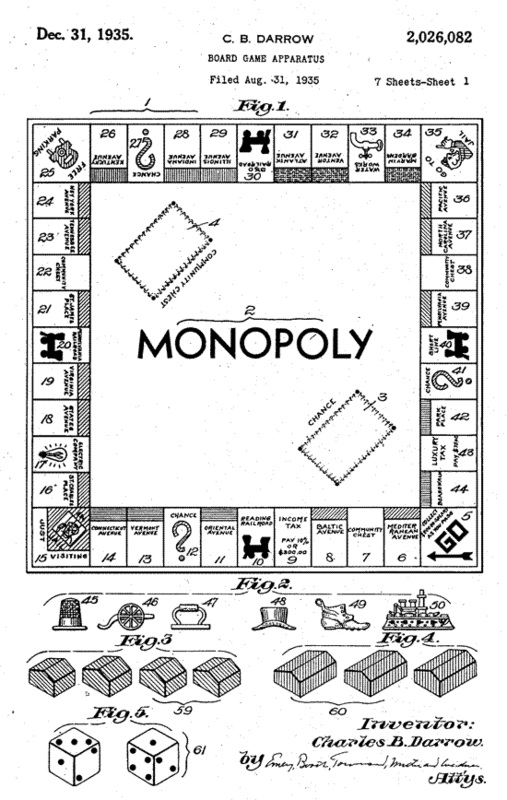 On September 23, 1924, a second patent was issued to Magie for The Landlord's Game. 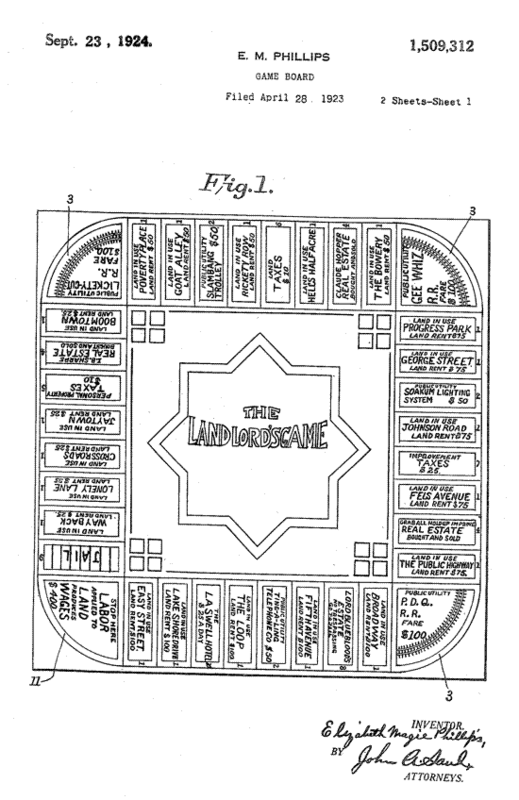 In 1932, Adgame Company (Inc.) published The Landlord's Game and Prosperity under this patent, which included a new set of rules. 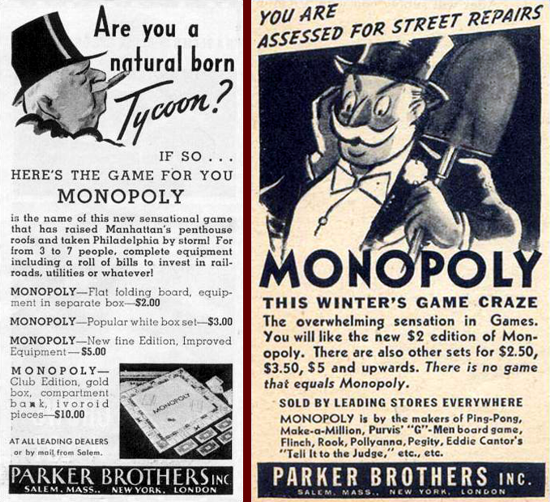 Magie held the patent until 1935: in that year Charles Darrow, a domestic heater salesman, sold his version of the game to Parker Brothers Inc. under the name "Monopoly", and Magie sold her patent to the company. 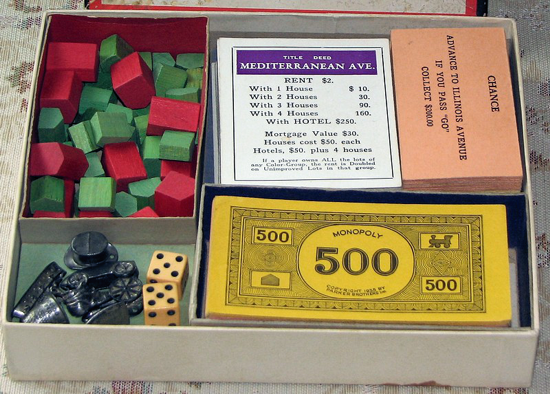 Monopoly was first marketed in a Standard Edition, with a small black box and separate board, and in a larger Deluxe Edition, with a box large enough to hold the board. 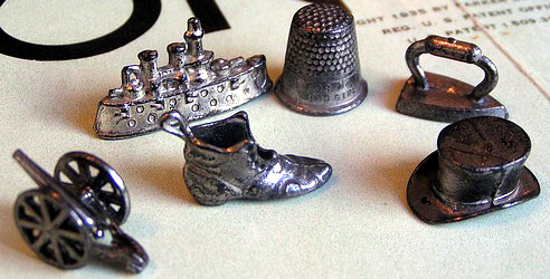 Parker Brothers sets were the first to include metal tokens for playing pieces. 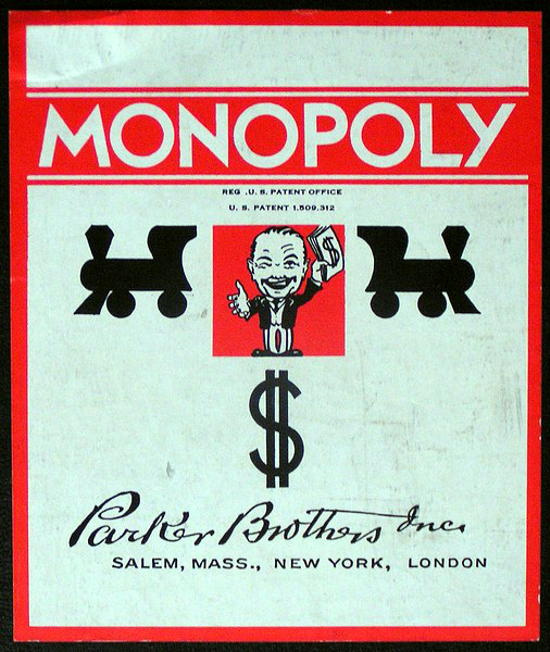 In 1991 Parker Brothers was acquired by Hasbro.